EMPIRE LIFE EMBLEM PORTFOLIO GIF CLICK HERE ! 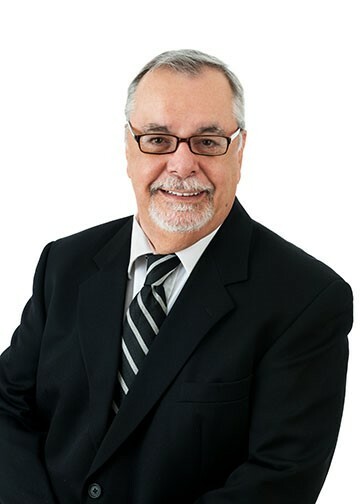 We firmly recommend the advantage of having your RRSP’s with insurance companies in order to enjoy the security of creditor proofing and, in the event of death, the avoidance of probate fees. 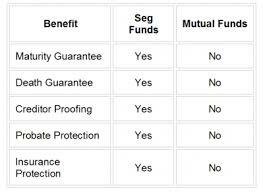 Segregated funds (seg funds) are the common name given to individual variable insurance contracts. Currently popular are seg funds “wrapped” around investment funds that are generally invested in mutual funds. Seg funds include a number of attractive benefits such as deposit principal and death benefit guarantees, estate planning benefits and potential creditor protection. Other features include the ability to diversify your portfolio to ensure your individual investment objectives are met, and investment flexibility giving you access to your funds if you need it. Investing in seg funds allows you to enjoy potential gains from the underlying mutual funds’ performance while receiving the benefits associated with insurance contracts. ARE SEG FUNDS FOR YOU? Seg funds, like any investment, may not suit everyone. Seg funds may be appropriate if you are a conservative investor who wants to participate in the potential for market growth without any “downside” risk to your principal investment. In addition, if you are retired or nearing retirement, seg funds offer you growth potential and a guarantee of your principal. If you are a business owner or professional who may have high personal exposure to business risk, you may benefit from the potential creditor protection of seg funds. As estate planning becomes one of your financial goals, seg funds can play a significant part of your plan due to their ease of transfer to your heirs without the costs of probate. If you fall into any of these categories, investing in seg funds may be a good idea. Talk to your Financial Planner or Advisor to see if seg funds are an appropriate addition to your investment portfolio. HOW DO SEG FUNDS WORK? As an insurance product, seg funds come with certain guarantees – a death benefit guarantee and a deposit maturity guarantee. Upon your death, your beneficiary will receive the proceeds of your contract (either the guaranteed amount or the market value of the investment, whichever is higher). When your deposit matures (a minimum of 10 years from the date of deposit), you will receive the deposit guarantee amount (proportionately reduced for any withdrawals or fees during the term) or the market value of the investment, whichever is greater. These guarantees, which can range between 75 and 100 percent depending on the seg fund purchased, will provide you with peace of mind knowing that the value of your investment is protected, while still benefiting from market growth. With any financial plan, diversification or asset allocation is a key component. Seg funds offer professional money management. They are also an ideal way to gain exposure to the equity markets, both domestic and foreign, while limiting risk to your capital. Seg funds are now available in virtually all asset classes. From income products to equities, money market and balanced funds, seg funds can play a role in the diversification of your portfolio. Due to the insurance guarantee, the management fees of seg funds are generally higher than those of comparable mutual funds. WHAT IS A “RESET” OPTION? Some seg funds provide a “reset” option which allows you to “lock in” any gains that your investment has made. 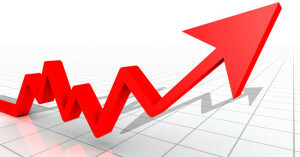 Suppose your fund has been well managed and has yielded an 8% return in its first year. The “reset” option would allow you to reset your policy guarantees to the higher market value of the fund units held. This “reset” value becomes your guaranteed value rather than the original amount deposited. The maturity date of your deposits is then extended by the amount of time that has elapsed since you entered into the contract. For example, if you bought $10,000 of units in a fund on January 2, 1999, with a ten-year term (maturing January 2, 2009) and reset on March 15, 2000, after the fund had climbed to $10,800, your new maturity date is March 15, 2010, and the amount guaranteed is $10,800 (assuming a 100% guarantee). So, a seg fund can protect not only your initial capital, but also the gains you make along the way! Note: Resetting is a non-taxable event unlike crystallizing gains or losses on mutual funds. WHAT ARE THE BENEFITS FOR ESTATE PLANNING? Seg funds are insurance contracts. As such, you can designate a beneficiary to receive your seg fund proceeds in the event of your death. In such a case, the funds are passed on to your beneficiary without the delays or fees of probate and in many cases the funds may be paid out before the balance of the estate is settled. This private transfer of wealth is not subject to any probate, lawyer’s or executor’s fees. ARE SEG FUNDS PROTECTED FROM CREDITORS? Seg funds may qualify for protection from your creditors even in bankruptcy. Creditor protection may be available if the named beneficiary of the funds is a spouse, parent, child or grandchild of the annuitant and the deposits are made in good faith*. This can make seg funds ideal for business owners and professionals who may be more susceptible to liability or business risk. HOW DO SEG FUNDS FIT IN MY RETIREMENT PLAN? As you near retirement, priorities generally shift from capital growth to capital retention in order to ensure your retirement nest egg will be there when you are ready to start withdrawing the income. Often at this time, portfolios shift away from equities and move towards fixed income investments such as bonds and GICs. When interest rates are low, you will find your investments yielding less income than you may have anticipated. Seg funds provide you with an “equity” option to continue to benefit from market performance without putting your principal at risk. The Canadian life insurance industry has its own consumer compensation agency, the Canadian Life and Health Insurance Compensation Corporation (CompCorp). CompCorp is a federally incorporated private company which provides Canadian life insurance policyholders with a measure of compensation in the event of the insolvency of an insurance company. For more information on seg funds or other investment options, please contact you Financial Planner or Advisor. *In Quebec, the named beneficiary must be a spouse, parent, child or grandchild of the contract owner. Protection is subject to limitations. Speak to your legal advisor if this is important to you.